Over the years the relationship Managed Solutions has had with manufacturers has evolved substantially. 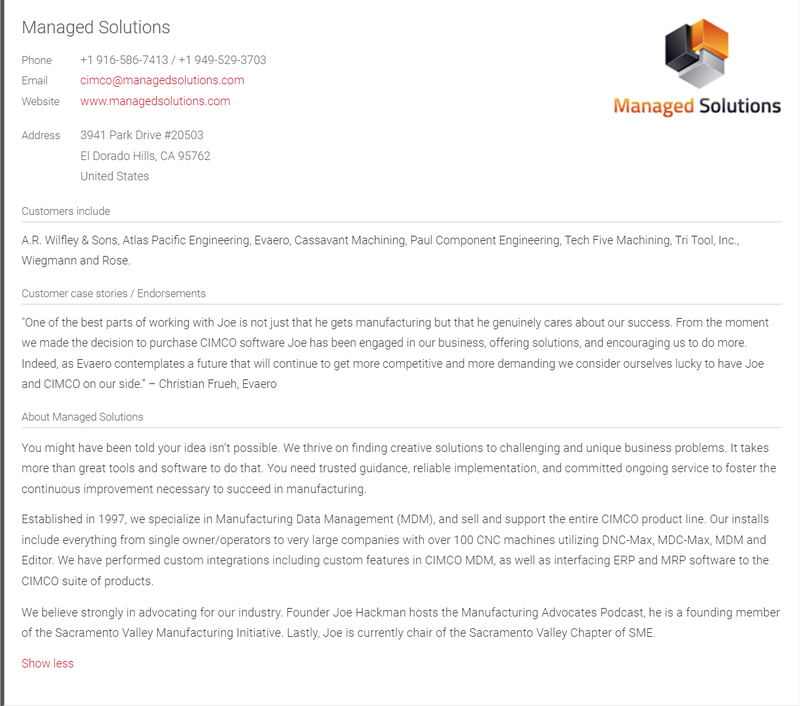 Starting in the late 1990’s serving an IT function for several San Francisco Bay Area based manufacturers and evolving over 22 years to a very different role, it has been quite a journey. In the early years we crawled through dusty attics in Oakland California at Wiegmann and Rose Thermxchanger stringing Category 5 cabling to network their computers. Those same computers were also receiving real time clock upgrades to handle Y2K without mishap. We often would look in awe as their huge CNC machines gracefully churned out large steel chips as giant blocks of steel turned into components for their finished product – tube in shell heat exchangers. Over the early years we helped a number of customers adapt to the radically changing information security landscape. Helping them improve their cultures through training to build awareness and through services and tools that would one day be part of our Secure Enterprise initiative, and later by many called Managed Services. The very same year we launched Secure Enterprise, we officially became a CIMCO Software reseller. The beginnings of our involvement with CIMCO were quite humble, but over the next five or so years we would grow much more passionate and interested in all things CNC related. As a result we began selling CIMCO DNC, Data Collection, and Data Management products in 2010-2011. In those early years we began working with companies all over the western USA including Evaero in Tucson, Arizona and AR Wilfley & Sons in Denver Colorado. Two years later we would shift our focus to serving the automation needs of CNC based customers utilizing CIMCO software products. Our IT knowledge built over the years would prove invaluable in adapting to a technologically more intense industry with talk of big data, smart factories, industry 4.0, and the Industrial Internet of Things. All concepts that a company built through the technological challenges of the late 1990’s and well into the 2000’s would be well prepared for. This is just one of several exciting new developments here at Managed Solutions, but for the time being the only one we will be sharing publicly. As excited as we are, we will have to hold back and save the other news for the coming weeks and months. If you have bottlenecks in your CNC environment or would like to discuss ways to improve your bottom line, talk to your local CIMCO Solution provider or contact us and if we can’t help you we will recommend someone who can.